You don’t need to be a rocket scientist to begin epilating. The whole process should, in theory, be rather simple. That said, there are a few things you need to consider before (and during) doing so. Preparation plays a huge role. In this article, we outline the things you need to do before epilating and the exact how-to guide of the process. 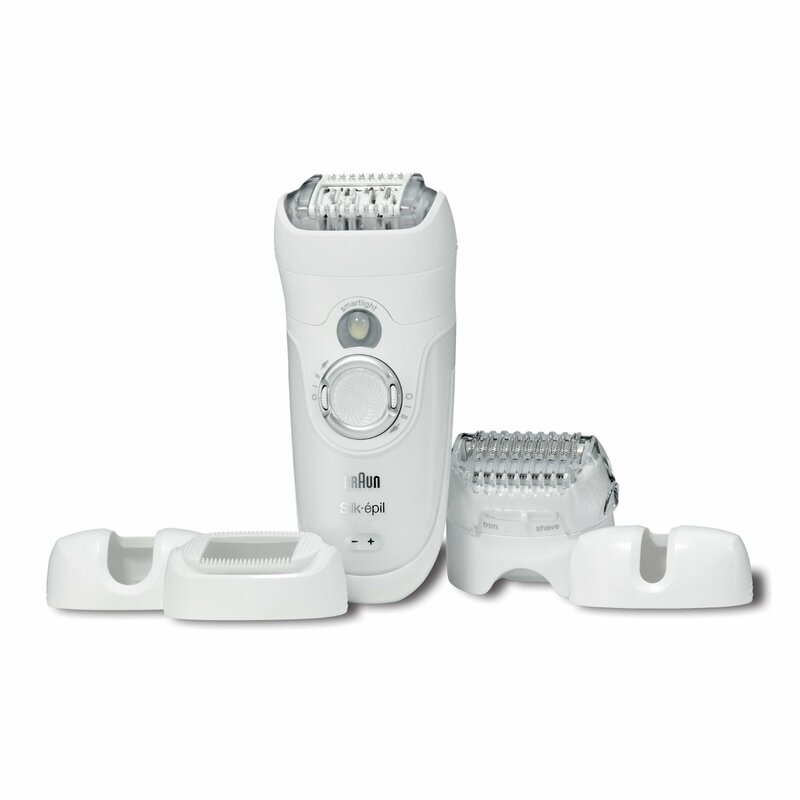 This is, of course, assuming that you’ve already made up your mind, gone ahead and bought a quality epilator (if not, we have plenty of info on this too). You need to exfoliate your skin either the day before or on the day of the process. This will help you prevent ingrown hair and also prevent the appearance of stubble. Depending on the epilator you’ll use, you can either do it while your skin is wet or completely dry (wet and dry models are available). Take note, though. If you’re doing it dry, you should make sure that your skin is really dry. If you’re doing it wet, make sure it is really wet, not damp. Take a Warm Shower. This also helps, as it opens up the pores and softens the hair a bit. Make sure to clean the area you want to epilate thoroughly. Right before you start to go to work, applying ice will help, mainly in numbing the area you will epilate. It can be painful, especially if you’re new to it. So applying this trick will help you cope up with it and tolerate the pain a bit more. Initially, you might experience a lot of redness. Letting the area in question rest for at least 24 hours will make sure that the redness will heal fully, and won’t be noticeable if you’re out and about. If it’s your first time to epilate, then this won’t matter. But if you’ve done it before, make sure that your epilator is clean before you use it. Clean it thoroughly, if not. Unlike shaving or waxing, there is an ideal hair length for epilating. The hair you will remove should be no more than 1.5cm. The optimal hair length, for best results, is 4-5mm. Hold the epilator as steadily as you can at 90 degrees. Press the machine onto your skin. Not too near as it may capture your skin and stop rotating, not too far either as it may not capture the hair you’re looking to remove. As opposed to shaving, you should do strokes opposite the direction your hair is growing. You should do one long stroke after another. Continue working on the area until no trace of hair can be seen. Always check yourself in the mirror during the process. This will help you check if you’ve done it well enough and help you see if there’s no more hair noticeable. It is more preferable to epilate an area while the skin is being stretched. The other hand holds and moves the machine, while the other hand stretches the skin. If your skin becomes sensitive and reddens after an epilating session, get an ice pack and put it in the affected area. This will greatly reduce the pain and redness. « The Best Travel Epilators: Epilating On The Go!